Lots of fun, excitement and entertainment! Farkle Casino is here! Farkle Casino is the best Dice game you can get for your iPhone/iPad! 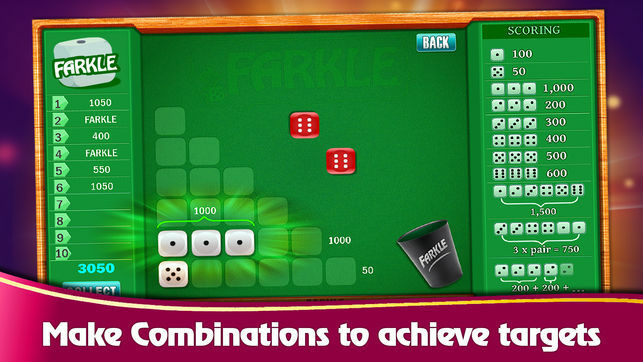 Farkle Casino is a highly addictive, fun to play and a user friendly game! Each player’s turn starts by rolling 6 dice to score points. As long as they roll scoring combinations, they can roll the remaining dice or collect their points. In order to bank the points for your score, you need to accumulate at least 300 points. If your roll does not score any points, you get a ‘FARKLE’, losing all points accumulated for that turn. If you roll a Farkle three times in a row, you get -500. If the player manages to score on all six dice, they get a ‘Bonus Round’ and may choose to roll all six dice again or collect the points. Collect 5000 – 13000 points in 10 rounds to win coins. 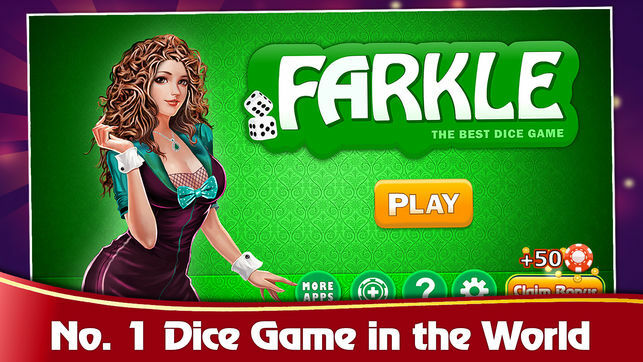 Farkle or Farkel is also called Zilch, Squelch, Zonk, Cosmic Wimpout, Greed, Darsh. ► Power Dices: There are three types of Power Dices. 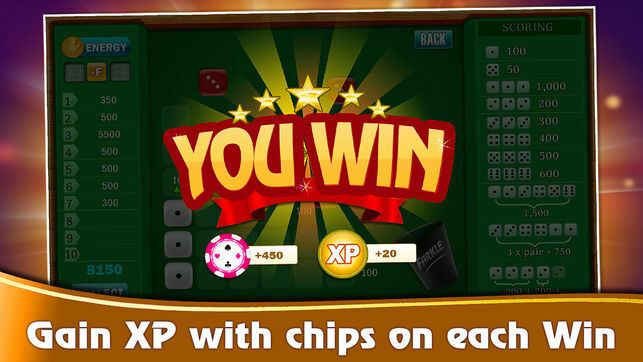 ► Use ENERGY in Higher Bets. ► Choose to play from 5000 to 13000 points. ► Single Play with many prize. ► Free coins every 10 minutes. ► Bonus game every 24 hours! ► Intuitive Graphics and User Experience. ► Unlock Bets & earn more chips and Bonus. Have questions or feedback about Farkle Casino ?